David This deal works as described. 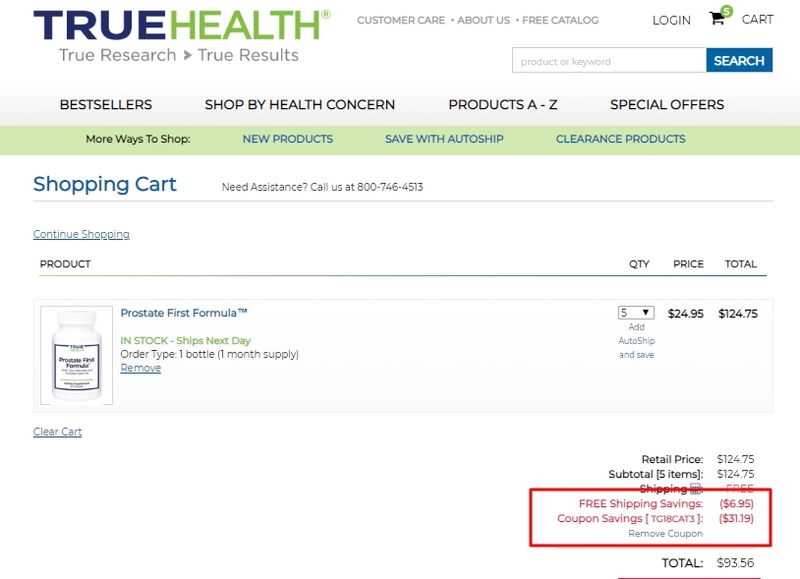 Go to the web site, add your item to cart, proceed to checkout, enter promo code <TG18CAT3> and get 25% off your order at True Health. 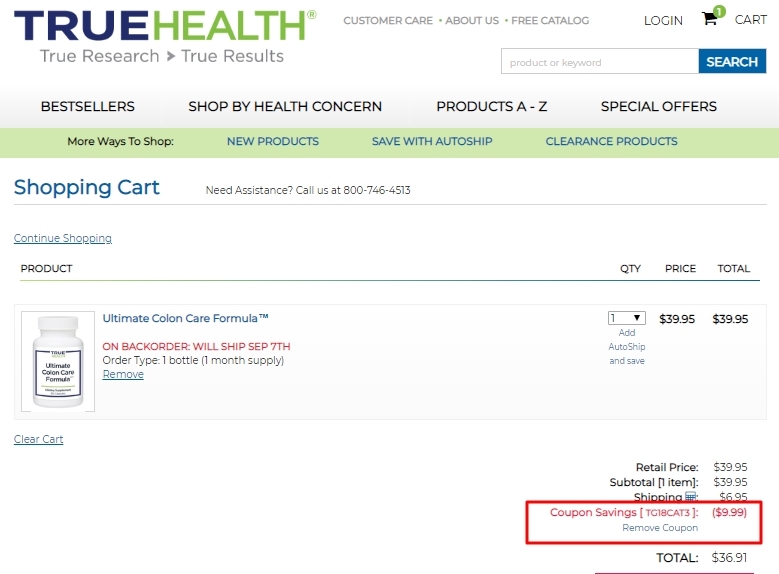 Mario Lopez This deal is currently active and working as described, Add products to your cart and paste the code at checkout to save 25% off your next purchase at True Health. German This deal was verified and it is working as described. 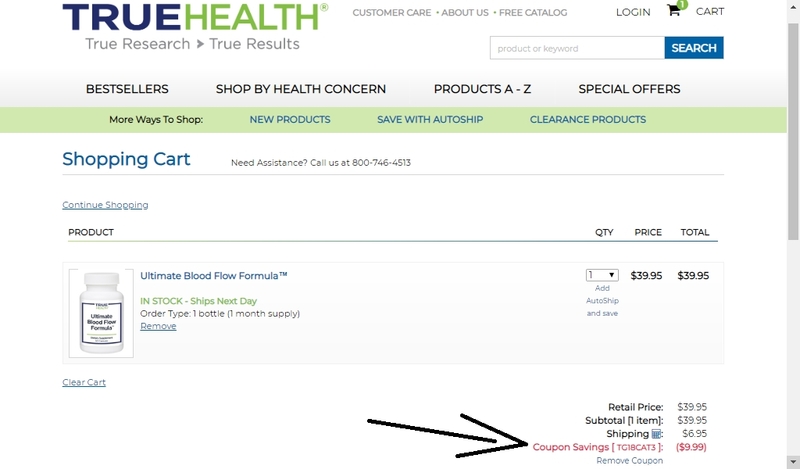 Select the items and enter the promo code <TG18CAT3> at checkout to get 25% off your order at True Health. Jose This deal works as described. 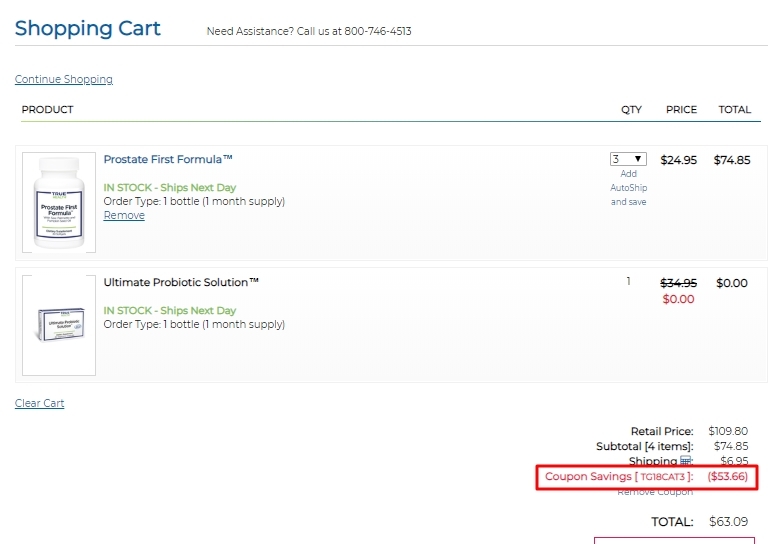 Go to the web site, add your item to cart, proceed to checkout, enter promo code <T18AUG1> and get 25% off your order at True Health. Jose This deal was verified and it is working as described. 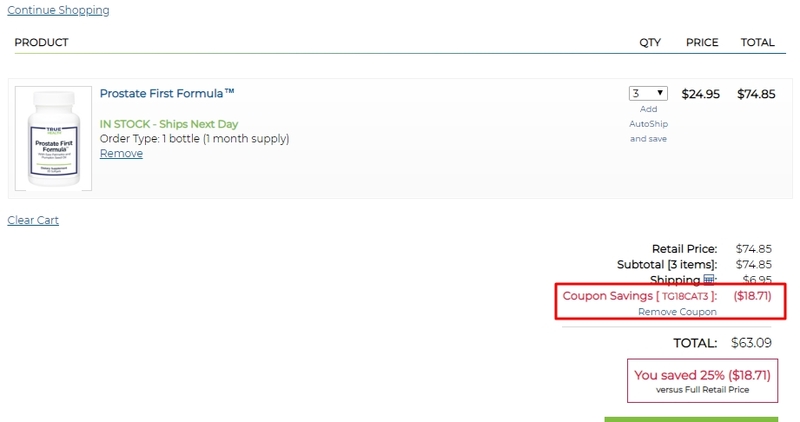 Select the items and enter the promo code <TG18CAT3> at checkout to get 25% off your order at True Health.